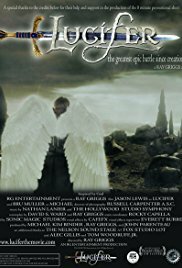 RG Entertainment has tapped Radar Creative to create a website, DVD and movie poster for Lucifer, a movie being produced & directed by Ray Griggs of RG Entertainment. Some of Hollywood’s top “A List” players collaborated on the movie trailer including cinematographer Russell Carpenter, a well-known film scoring orchestra, Cafe FX and ADI. Griggs plans on shopping the DVD trailer around town in order to raise the necessary financing needed to film the feature length movie.